June is youth month and the KZN Youth Orchestra has a great concert coming up on June 15, 2018. 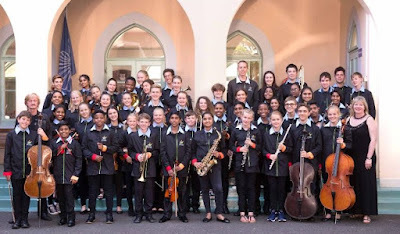 Sundowner Classics will see the orchestra playing some well-known classical favourites including Dance of the Hours, Schubert’s’ Unfinished symphony and The Anvil Chorus by Verdi. The orchestra comprises young musicians from all around KZN province. The hour long concert will be played by the 40 piece ‘A’ orchestra but a couple of pieces will include their feeder Shadow orchestra members as well. The popular orchestral items include such pieces as Take 5, movie music from Harry Potter and a fun version of Tequila. Popular Durban actor Bryan Hiles will feature with the orchestra and will sing such songs as Africa by Toto, Doo bee doo, The Lion Sleeps Tonight, I Can’t Take My Eyes Off You and the great Leonard Cohen song Hallelujah. Sundowner Classics will take place at Mt Edgecombe Country Club in the Sandpiper Room on June 15 from 18h00 to 19h00. Tickets R150 include some snacks and there is a cash bar. Patrons are encouraged to get to the concert early in order to partake of the drinks and snacks.